Do you ever step out of the shower and immediately have a layer of white residue show up on your legs? Do you deal with an out of control frizzy mane on a regular basis despite doing everything in your power (including buying expensive hair products) to tame your unruly strands? Do you rinse your mouth after brushing your teeth and notice your water smelling and tasting a bit funky? Those, my friends, are all scenarios I've experienced time an time again and are what the Culligan Water expert explained to me as being due to having hard water run in our home. During his initial visit, he determined what system would be best for our household. We received a High Efficiency Series Softener for our entire home, as well as an Aqua-Cleer Water Filtration System with ClearLink Pro connected to our kitchen sink to provide us with not only soft water but also clean, filtered drinking water - basically the best of both worlds. 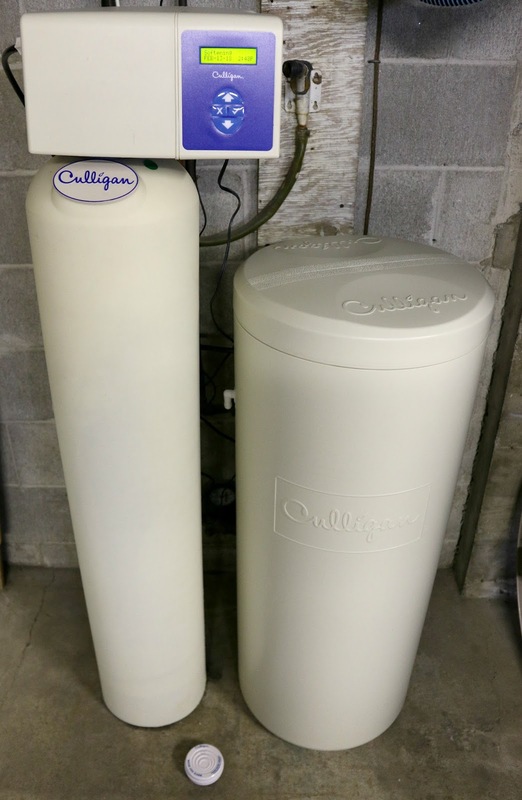 In the water treatment game, Culligan Water has been in the industry for over 80 years and is known as an international leader when it comes to developing innovative water filtration systems and softeners, so I knew we were in good hands. I really like how they personalized our home's water system by first identifying which water issues we had in order to make the best recommendation. A week after the initial consultation, the High Efficiency Water Softener was installed and connected to our water entrance which is located in our garage. 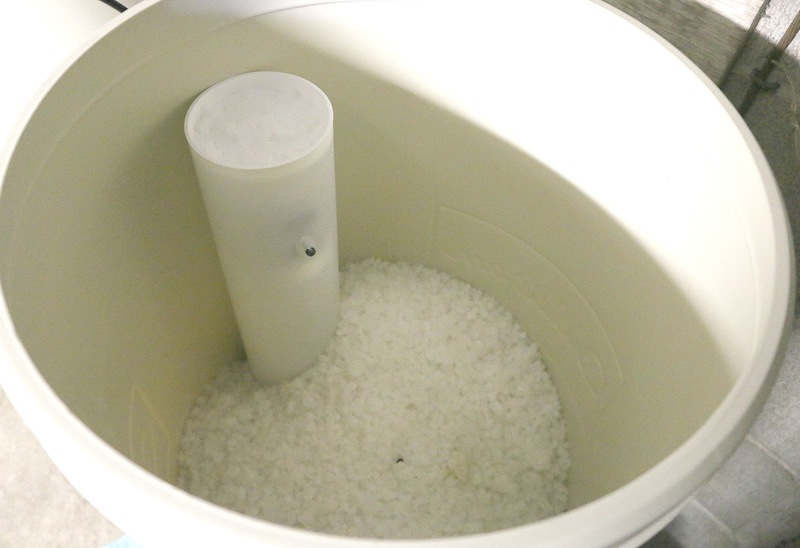 You can see the salt that is stored in the tank above. Without going into technical details, a softener basically dissolves the salt it holds into the water that passes, turning the water hard to soft and therefore allowing my family and I to experience the many beauty benefits of soft water, whether I'm in the kitchen washing my hands, cleaning my makeup brushes, or giving myself an at-home facial after steaming some water on the stovetop. 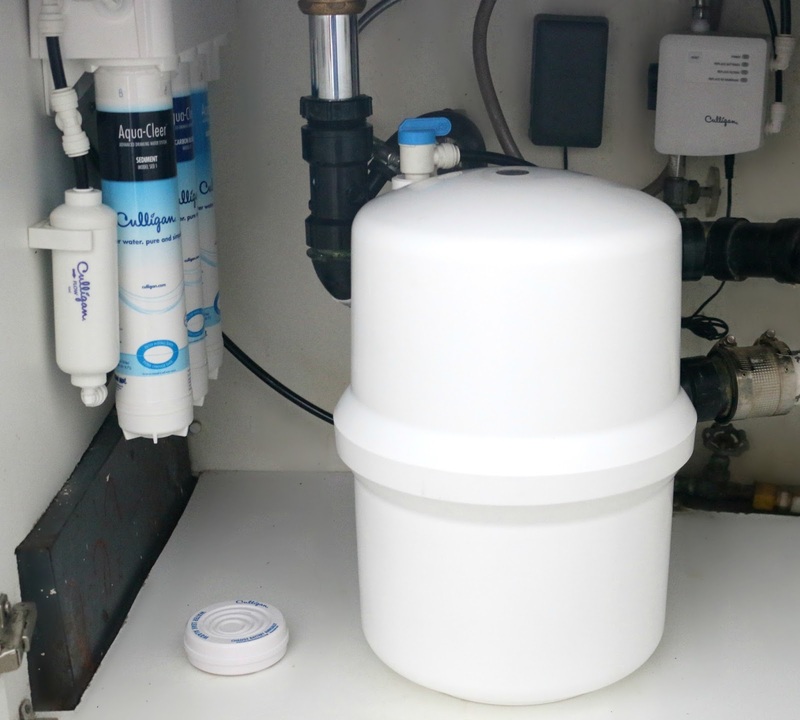 The final step was getting the Aqua-Cleer Water Filtration System installed under our kitchen sink and connecting it to the ClearLink Pro, the little gadget you see sitting on top of the kitchen sink. At the touch of a button, the ClearLink Pro wirelessly switches the water coming out of the kitchen faucet to filtration mode (visible by the five illuminated dots), meaning we instantly get clean, odourless and great tasting filtered water straight from the tap! The entire non-invasive installation took just over two hours, so it was surprisingly quick. My Culligan representative came to test the water two weeks following the installation to verify that everything is functioning properly and ensure that every day is a "good water day". My initial reaction after a month of use is pure excitement and amazement - I had no idea that having a Culligan Water system in my home could make such a difference, and the beauty benefits have not gone unnoticed! The first time I washed my hands following installation, I had to do a double take at how soft my hands felt. Same goes for showering in soft water - the water actually feels better on the skin, as the soap rinses right off, making you feel cleaner. Despite continuing to use the same shampoo and conditioner, after the first wash, I noticed a significant difference in the softness and shine of my hair, as well as cleaner, smoother skin that almost feels like it has been moisturized before I even reach for a lotion. After only a few weeks of use, I no longer deal with dry, flaky or itchy skin, and I did not think that was possible! It's as if this new water is helping keep my skin moisturized at all times. With time, I have also realized that I do not have to use as much soap, cleansing and hair products since a small amount goes a much longer way with soft water compared to hard water. Getting to drink fresh, clean and filtered water straight from the kitchen tap has also been amazing, and not having to endure odd tasting tap water when brushing my teeth has been a treat to say the least. The convenience of filtered water at the press of a button has also helped me stay hydrated and ensure that I get my required daily intake of water. I even find tasks such a washing my makeup brushes less daunting and more enjoyable as the soft water combines with the soap in a way that reduces the amount of both soap and water needed to get my brushes nice and sudsy and looking squeaky clean. I no longer procrastinate like I used to and have been staying on top of deep cleaning my makeup brushes weekly! So far, Culligan Water's Home Filtration System has definitely impressed me. I didn't think I would experience so many improved beauty benefits in such a short amount of time! Even though I have only had it for just over a month, I cannot see myself going back to having hard water and non-filtered drinking water. I will be sharing my full experience in a future post, so keep an eye out for that! Have you thought of softening and/or filtering the water in your home? This sounds like a great filter system! Wow this sounds like a great water system! I rent but I'd love a home filtration system in my apartment. I'm going to have to check this out. I have the hardest water in the world here. This sounds as though it's an amazing filter system. I had no idea that a softening filter would change your beauty routine. I love water filter systems! They are so worth it! I should care more about the quality of my water. My hubby is though - and he would totally be on board with this. What a great idea! I never thought of using a filter system for the entire house. I used the filter system for the drinking water in the past. Thank you for sharing. This is really great. I have a similar set up. I've been wanting to know a water filter is when installed in a home. This post came at a good time. Thanks for this. We have hard water here that leaves rings on the toilet bowl. I like that this system has a filter too. That's so interesting. I had no idea it could have such an effect! We've never had a water softener before and i know plenty of people in my area that do...might have to give it a shot! Wow! I have never heard of this before, we are currently on city water which is pretty good, but we will be switching to well water soon. This might be a good option. I have never heard about this Culligan water and it sounds pretty interesting. I will definitely check this out and show this to my hubby. 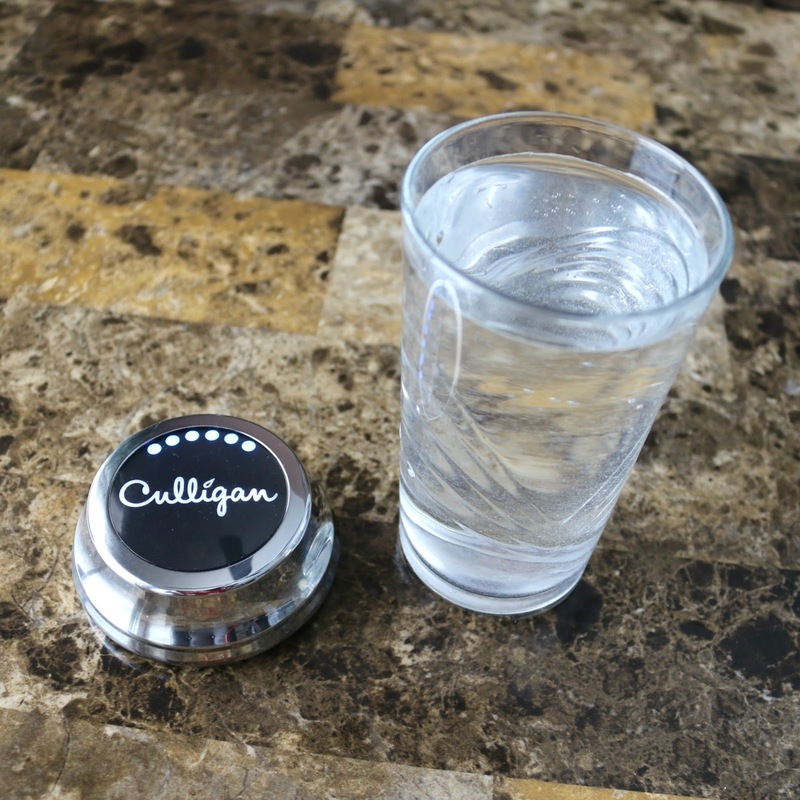 I have heard of Culligan but I have never done much research- this is super helpful! Will definitely look into this more now! We have hard water and it definitely does take a toll on your skin and hair. Thank you for your review. I need to look into this. I stopped buying drinks other than water and coffee for my family. That means we want the best water possible. 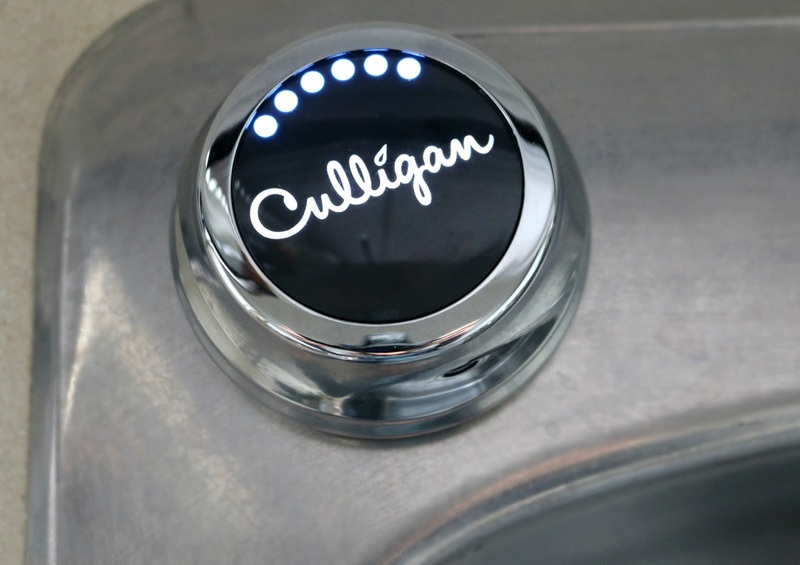 Culligan sounds awesome! We don't even drink our sink water because I'm scared of what it might contain. But if we install one of these, we could save money on all of the gallons and bottle water. That we buy, thanks for sharing. We have the most horrible water. Even with water filters, it smells, is hard to rinse off, and turns everything red. I hadn't thought about this really. I actually spent the last few years living in Istanbul, and now I'm back in Toronto or just overjoyed to have clean drinking water to be honest!